Deckmaster NZ Ltd attended the Auckland South Home Show in August at the Vodafone Events Centre in Manukau. 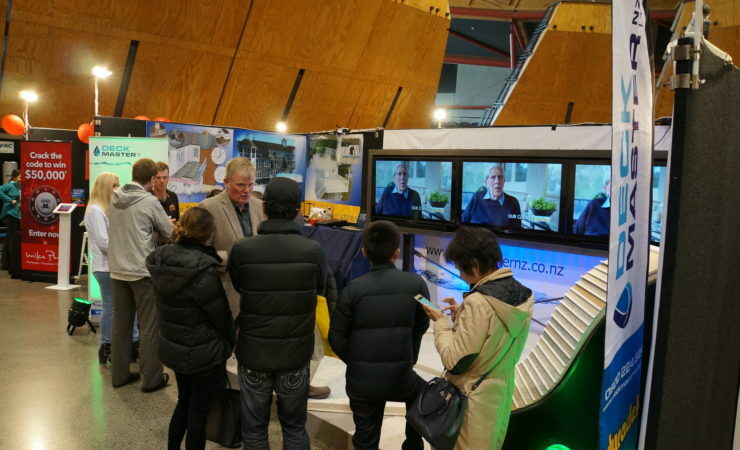 The Auckland South Home Show attracted thousands of people in August to view the many exhibitors that attended. Hundreds of people stopped by the Deckmaster NZ stall to view and ask questions about the new Duradek product. We received many enquiries from people who has leaks in their houses and wanted to use Duradek as an option for their waterproofing needs. As well as this, many people wanted it just to enhance the asthetic look of their house, as it offered a different option and many different looks.